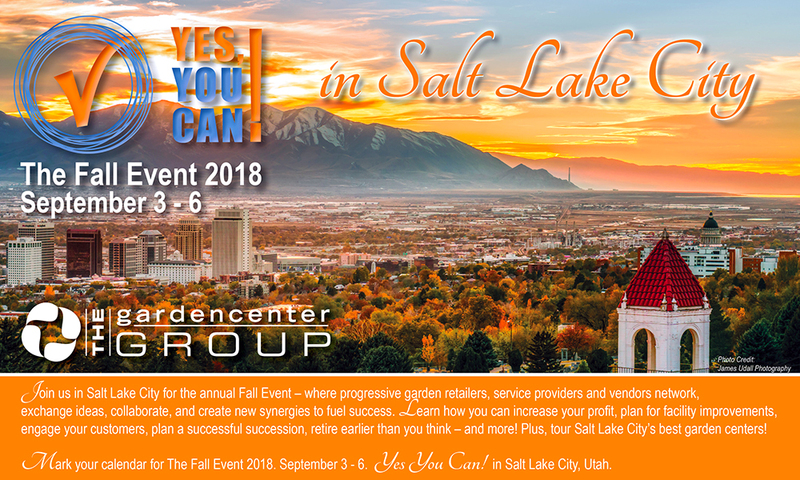 The Fall Event is the perfect forum for progressive garden retailers, consultants and vendors to network, exchange ideas, collaborate and create new synergies to fuel success. And, Salt Lake City is the perfect place for this open forum with plenty of white space to unleash the collective knowledge and creativity of The Group! 1. Connect and collaborate with some of the Best Garden Center owners and managers in North America! We know you’ve heard it all before, but networking is a huge part of your success. Meeting face-to-face with your peers provides an opportunity to collaborate, hear new ideas, and tap into a wealth of knowledge. You can find a mentor – or become one, and develop relationships with like-minded people that can last a lifetime! 2. Engage with our Service Providers, our Guest Speakers, and our Partners for Success and Sponsors! 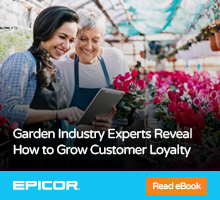 Our Service Providers are industry experts and solution-providers who truly know what is happening in the world of garden center retailing – and they have answers to your questions. Our speakers are professionals with proven business success that will introduce you to new concepts and open your mind to new ways of thinking about how you do business every day. And, our sponsors are premier industry suppliers of the products and services you need to run a successful garden center. Invest some time in visiting with them during breaks. See their newest products and spend some one-on-one time discovering what’s new and developing profitable business partnerships! 3. Explore the best local garden centers! Wednesday is a full day tour of the best local garden centers. You'll see a diversity of centers and gain insight on their marketing and merchandising techniques as they share their secrets of success. The plant palette may be different – but there's always lots to learn. Be ready to be inspired! 4. Increase your performance and your profit! The Fall Event is packed full of ample opportunities to connect, collaborate, engage and explore endless possibilities that have proven to be successful for hundreds of garden centers throughout the U.S. and Canada. It's the perfect forum to create new synergies to fuel success and drive your business forward! The Fall Event offers a lot of learning packed into a short amount of time but we always make time for some fun! Unplugging, de-stressing, and getting away from work is very important and can lead to being more creative, more energetic, and more productive. So, we encourage you to take some extra time during The Fall Event to play... come a day or two early or stay a day or two over. There's lot's to discover in Salt Lake City! Finding your balance is an important part of running a successful business. And YOU CAN in Salt Lake City!